Wastepaper Prose : Literary Lures: Ginger from GReads! Ginger from GReads! 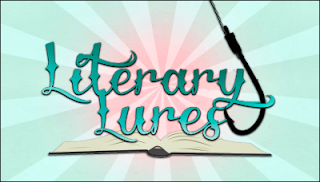 is here today to tell you all about her literary lures. She'll tell you why she buys books, what types of stories she always falls for, and what will make her close the cover without looking back. Cover. Yes, I admit it. I judge a book by it's cover. If I have never heard of the book, then it's the cover I see first. Depending on that, I may or may not look & see whats inside. Recommendations. I trust certain people's opinions & when they tell me I need to read a book, well then I read the book! Two people, total opposites who meet and end up falling for one another. They can be from different worlds, or different social classes - whatever it may be, I am a sucker for opposites attracting. There is usually tons of conflict & passion! I love that. As I said above, I tend to fall for the opposites attract storyline. I like it when the couple you expect least to end up together, end up together. When it comes to contemporary novels, this is by far my favorite storyline. Life is messy and nothing is ever easy, so when a relationship is brought together when no one expected it to, I always end up rooting for them to come out alive. Obsidian (Lux series) by Jennifer L. Armentrout -- Sci-fi is usually not my first choice of reading, but I was told the romance in this series was intense & I found this to be very, very true! My Life Next Door by Huntley Fitzpatrick -- This book is the epitome of two people, from different social classes, beating the odds and falling in love. Love this type of story! Shatter Me by Tahereh Mafi -- Another book that was recommended to me because the romance was so intense! I do like dystopians, but usually contemporaries are where I turn to first. I was swooning so hard after I read this book. So passionate! Going Too Far by Jennifer Echols -- This book was my first encounter with author Jennifer Echols and it completely set the bar for every other YA romance after it. Her writing is so beautiful, and so passionate. These stories inspire me to want to write my own some day. Literary Lures sounds like a neat new feature! Greads! is a blog I read all the time. Like Ginger, I totally judge books by covers.